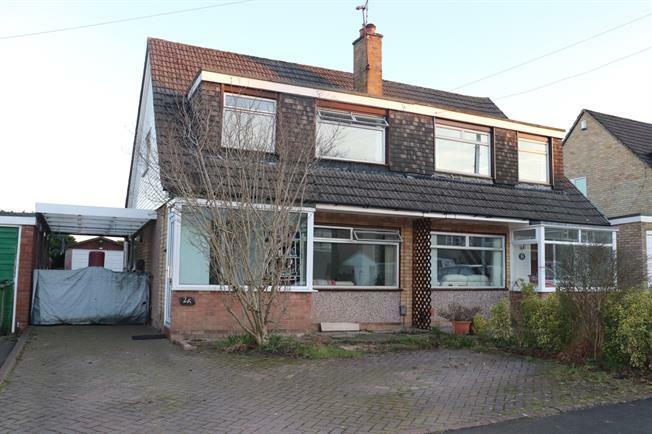 3 Bedroom Semi Detached House For Sale in Stockport for Offers Over £250,000. A fantastic family home that has been redecorated throughout providing a neutral canvas for a potential buyer. Offering a generous living room leading to a spacious kitchen/family room, door to boot room and downstairs WC. Upstairs there are three bedrooms all with fitted wardrobes and a shower room. Front and Rear gardens, with the rear garden offering distant views of Lyme Park, driveway to the front for several cars, car port and detached garage.